Does Lamictal Cause Weight Gain or Loss? Here's good news if you're concerned about the effects of the medication Lamictal (lamotrigine): The drug probably won't affect your weight much at all. If anything, you're more likely to lose weight because of Lamictal than to gain weight, but either way, the changes will probably be pretty small. The effect of Lamictal on weight has been studied quite a bit and various clinical trials have found the minimal impact on weight. In fact, some researchers even have looked at the drug as a possible treatment for obesity and as a treatment for binge-eating disorder. This information should be reassuring to people with bipolar disorder since so many medications used to treat the condition can cause weight gain. Lamictal is an anticonvulsant medication that can be used to treat seizure disorders, such as epilepsy. It's also used as a mood stabilizer in bipolar disorder. In the first clinical trials involving the drug, 5 percent of adults with epilepsy lost weight while taking Lamictal, while between 1 and 5 percent of patients with bipolar I disorder gained weight while on the drug. The researchers didn't disclose how much weight the patients gained or lost. Meanwhile, a 2006 study comparing the effects on weight of Lamictal, lithium, and a placebo found that some patients receiving Lamictal gained weight, some lost weight, and most remained at about the same weight. The weight changes generally didn't amount to many pounds either way. Obese patients taking Lamictal lost an average of four pounds, while non-obese patients' weight remained essentially the same. 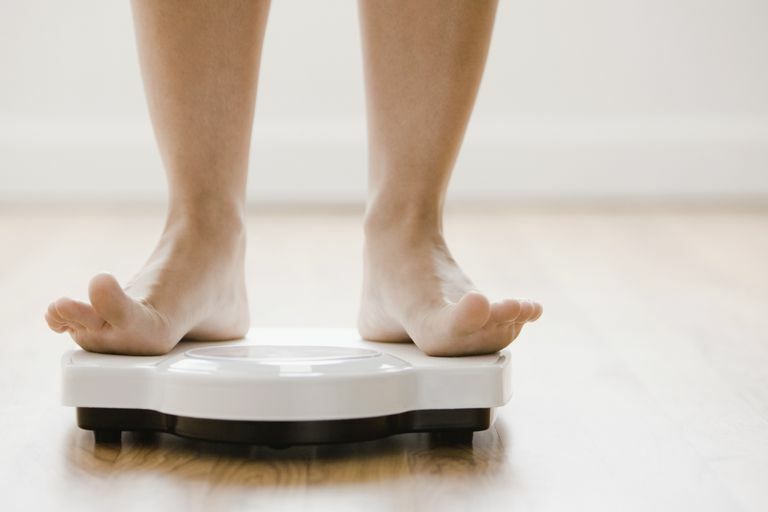 Weight gain from drugs used to treat bipolar disorder is unfortunately pretty common. Certain mood stabilizers commonly used in bipolar disorder—specifically, lithium and Depakote (valproate)—carry a high risk of weight gain. In addition, the atypical antipsychotic medications Clozaril (clozapine) and Zyprexa (olanzapine) tend to cause significant weight gain in people taking them. Finally, some antidepressants—specifically, Paxil (paroxetine) and Remeron (mirtazapine)—are associated with weight gain. Therefore, if you're already overweight, you and your psychiatrist may want to consider the possibility of additional weight gain in determining your medication regimen for your bipolar disorder. On that basis alone, Lamictal may be a good choice. Lamictal also has been studied as a possible treatment for obesity in people without epilepsy or bipolar disorder. In a small clinical trial involving 40 people conducted in 2006, researchers randomly assigned the participants to receive either Lamictal or a placebo for up to 26 weeks. Everyone participating in the study had a body mass index (BMI) of between 30 and 40, which placed them in the obese to the severely obese range. Those taking Lamictal lost, on average, a little more than 10 pounds. Those taking the placebo, meanwhile, lost around 7 pounds, so while those taking Lamictal lost more weight, they didn't lose all that much more. Another study, this one in 2009, considered Lamictal as a treatment for binge-eating disorder. That study included 51 people with the condition—26 of them received Lamictal, while 25 received a placebo. Those taking Lamictal lost more weight than those on the placebo (about 2.5 pounds versus about one-third of a pound), and they did have significant improvements in their blood sugar and cholesterol lab test results. However, the Lamictal didn't seem to affect other aspects of their binge-eating disorder when compared to placebo. Bowden C et al. Impact of Lamotrigine and Lithium on Weight in Obese and Nonobese Patients With Bipolar I Disorder. American Journal of Psychiatry. 163.7 (2006): 1199-1201. Guerdijikova AI et al. Lamotrigine in the treatment of binge-eating disorder with obesity: a randomized, placebo-controlled monotherapy trial. International Clinical Psychopharmacology. 2009 May;24(3):150-8. Hasnain M et al. Weight considerations in psychotropic drug prescribing and switching. Postgraduate Medicine. 2013 Sep;125(5):117-29. Meredith, CH. A single-center, double-blind, placebo-controlled evaluation of lamotrigine in the treatment of obesity in adults. Journal of Clinical Psychiatry (via PubMed) 67.2 (2006): 258-62. Pickrell WO et al. Weight change associated with antiepileptic drugs. Journal of Neurology, Neurosurgery, and Psychiatry. 2013 Jul;84(7):796-9.